The Holidays are nearly upon us, and that means it’s a busy time for everyone. If you’re a holiday shopper who likes to avoid the malls but still scrambles to get their gift orders in for the last minute, print out this list and make sure you don’t miss any important online holiday shopping deadlines this year. 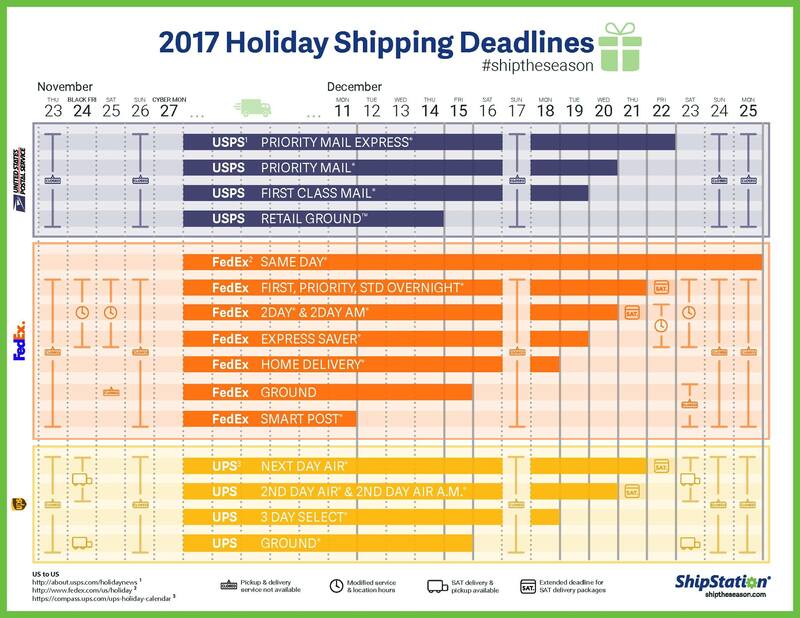 We’ve included the holiday shopping deadlines for the three major U.S. shipping carriers (UPS, USPS, and FedEx), as well as for 10 of the most popular online shopping destinations for American shoppers. If you want to have your order before Christmas, heed the dates below.